Car accidents can be complex and difficult to navigate, and you’ll probably find there’s much you did not know about the insurance and claims process. The experienced team at Davis Law Group, P.S., knows the ins-and-outs of these claims, and can help you recover the compensation you deserve. You’ll find that the damages you can receive will come from various different insurance policies and coverages from different people and agencies. 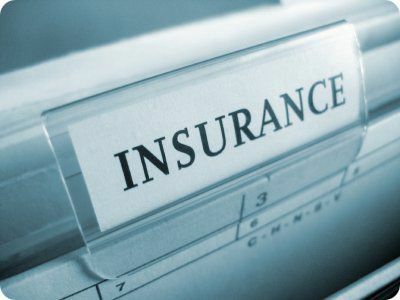 The following is an outline of the different types of insurance coverage and how they can apply to your car accident claim. When a motorist has insurance – required in Washington State – bodily injury liability is the most common. When you are found legally responsible for an accident, this type of coverage is the part of your insurance policy that pays for the other person’s injuries. In Washington State, drivers are required by law to carry liability with minimums of: $25,000 for injuries or death to another person; $50,000 for injuries or death to all other people; and $10,000 for damage to another person's property. In most serious car accidents, which our law firm specializes in, bodily injury liability insurance does not cover all of the medical expenses for the injured parties. Carrying additional coverages on top of bodily injury liability (which are outlined below) is strongly recommended. By their very nature, car accidents will cause damage to at least one of the vehicles involved. Collision coverage is an optional add-on that pays the cost of fixing your car, minus the amount of your deductible. Unlike comprehensive coverage (also an optional coverage), collision coverage covers losses caused by a collision with another vehicle, which most car accidents. Collision coverage is considered “no fault,” meaning your insurance company will pay to fix your vehicle, regardless of who caused the accident. We often find that victims of serious car accidents cannot have their medical bills paid for by the at-fault party’s insurance. Either the person that caused the crash doesn’t have insurance, or the coverage they have isn’t enough to pay all the damages. In cases such as these, Uninsured/Underinsured Motorist coverage is extremely valuable. This is a “floating” coverage that provides you an additional layer of coverage if it’s needed. Dollar for dollar, this is the best deal money can buy. If you can afford it, buy it. Another type of “no fault” car insurance, Personal Injury Protection (PIP) is an extension of insurance that covers medical bills and lost wages. PIP coverage pays out claims no matter who is at fault in an accident. PIP is mandatory in 13 states, but optional in Washington State. The law in Washington does force insurance providers to offer PIP, and policyholders must opt out of it in writing. MedPay is like PIP in that it will cover the medical costs resulting from an accident, regardless of fault. The main difference is that MedPay is cheaper, as it only covers medical bills. PIP is more comprehensive, covering lost wages, etc. While other types of insurance coverage may be included in a settlement down the road, both PIP and MedPay are available immediately after the policyholder makes a claim. If you suffer serious injuries in an accident, PIP and MedPay can provide financial assistance for medical bills right away. This type of policy is extra liability insurance. Umbrella policies usually only come into play in a major claim, when the damages reach six figures. Essentially, an umbrella policy gives you coverage above the limits of your regular auto insurance. Umbrella policies can cover your injuries, as well as injuries to other parties because of an accident you caused. For example, let’s say you were in an accident and your medical bills tallied $400,000. If the bodily injury limit on your car insurance policy is only $250,000, you’re probably wondering who will pay the remaining $150,000. If you have an umbrella policy, it will cover the amount above the liability limit, up to the limit you choose for the umbrella policy. Drunk driving accident victims can seek damages from the intoxicated driver that caused the crash. But some victims may not know that they can name the bar or establishment that served the driver past the point of intoxication as a third party in a personal injury claim. That type of negligence is called “dram shop liability." In cases where a drunk driver did not hold enough insurance to cover your injuries and lost wages, pursuing a dram shop liability case makes sense. Bars, restaurants and nightclubs are typically better insured, making them a better option to recover damages. When our clients pursue a claim against the government, this is the type of insurance that government agency will have to protect itself. Just like private citizens carry bodily injury liability insurance, government entities have their own liability insurance in the event their negligence causes injury. For example, say a poor roadway design has led to a string of car accidents in the last two years. If the department of transportation has done nothing to correct the obvious flaw, it may be held liable for an accident. An experienced personal injury attorney will file a claim not only against the at-fault driver, but the DOT as well. 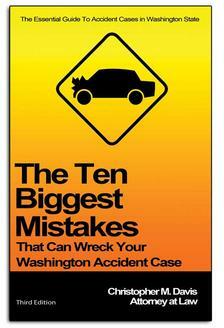 The DOT’s government liability insurance would pay the damages if they are found guilty. If you are injured in a car accident, you may be wondering how to pay your mounting medical bills. Our firm tells clients that if they have personal health insurance to process all their treatment through that. That could be a private health insurance company though the victim’s job, a public health insurance company or health insurance such as Medicaid or Medicare. Health insurance is typically the second thing to be billed in the case of an accident, following PIP or MedPay coverage. Once the initial $2,000 in PIP is exhausted, public or private health insurance will be billed.